The smell of woodsmoke, falling leaves, the honk of geese winging their way to warmer ponds - there is just something about this time of year as summer wanes and autumn arrives that stirs my soul. Autumn is my favorite season and it isn't just about the end of the hot summer. Autumn is magical. The world slows down and has a "glow" to it: the vibrant color of fall leaves (well, not Oklahoma leaves but up north where they turn orange and red and gold), flickering flames in the fireplace, those deep earthy colors that warm us up just looking at them, and the rich and spicy foods that warm our insides. If I could, I'd decorate the blog with russet and gold, soft greens and a bit of deep purple. Just looking at my laptop screen would make me happy. Along with those falling leaves, pumpkins, and cooler weather comes the first frost. When it was so very hot this summer I worked on "indoor stuff" and made a list of tasks that needed to be done outside as soon as the weather cooled off and before frost ends the growing season. It was a long list for a small window of time and I'm racing to get it all done. 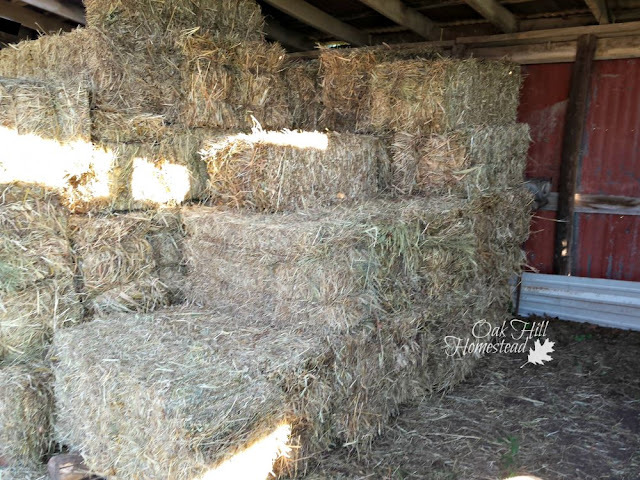 We've purchased our winter hay and moved it from trailer to hay shed on a cool morning. We had such a rainy summer that hay season was later than usual this year. The next morning I was in the hay shed getting the goats' hay and was privileged to watch a red-tailed hawk land on the barn roof in front of me, not even twenty feet away. What a majestic sight that was! I desperately wished I could get a photo of this magnificent bird so close to me. The hawk didn't stay long; she saw me and took off to the osage orange tree on the other side of the barn. I watched several songbirds fly off quickly, away from danger. We don't have much autumn color yet. Some years we have more than others, but this year doesn't look promising. 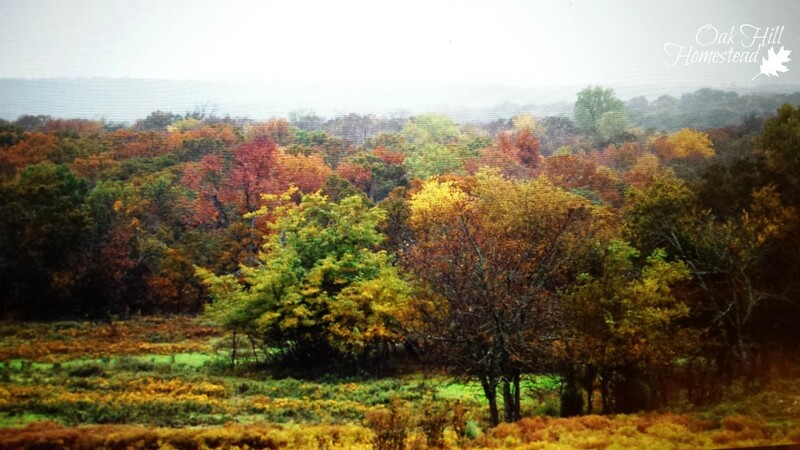 It's a little early yet; this colorful photo is from a previous November. I do miss the vibrant colors of fall in New England and the upper Midwest, but once in awhile I can find a single tree or shrub that is a sweet reminder of our previous homes. This week I'm cleaning up the garden, racing against the forecast of an early first frost this weekend. I'm sure many of you have already had frost and perhaps a freeze, but this is two weeks earlier than our average date. I've harvested the last of the green peppers (37 of them from six plants, bell peppers grow like crazy in my garden) and pulled up the plants. I'd much rather deal with garden clean-up chores before the plants are slimy from frost. 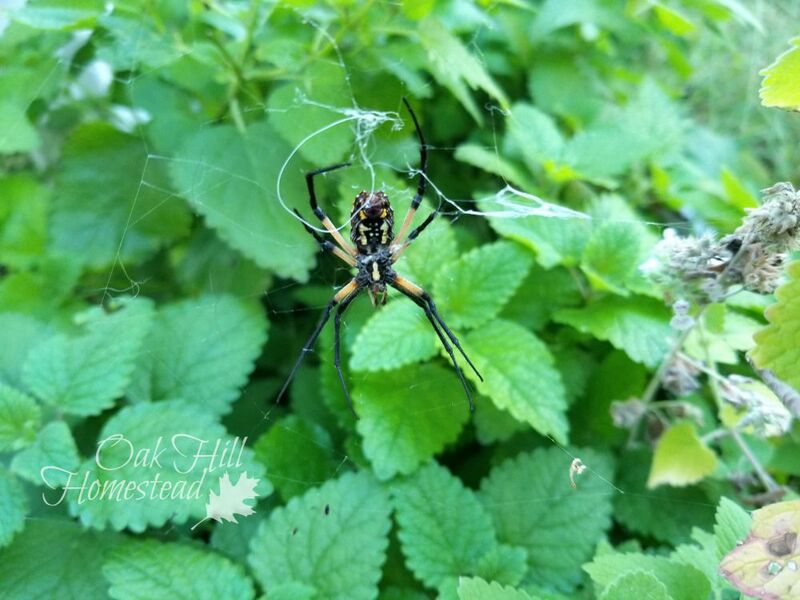 When I cut back the herb plants I found this garden spider on one of the lemon balm plants. I let it be, since spiders help control bugs and this one isn't in a spot where I'll walk into its web with my face. In fact, I have a laissez faire attitude toward spiders (as long as they are outdoors) as you can see in this post about another garden spider. And those baskets of herb cuttings are now scenting the guest room where they can dry without the cats disturbing them. The sweet potatoes are unearthed and curing. Last night I made streusel-topped sweet potatoes for dessert, and we can't wait for sweet potato pie. Today's task is the apples. Our dwarf trees have grown so tall that I can't reach all of the apples this year on my own and will need hubby and his ladder to help me out. This is the largest apple harvest we've had in several years, and we're looking forward to baked apples, Crock-pot pork with apples and onions, and jars of harvest apple jelly. And then I'll mulch the garlic bed and bring in some potted herbs for the winter. 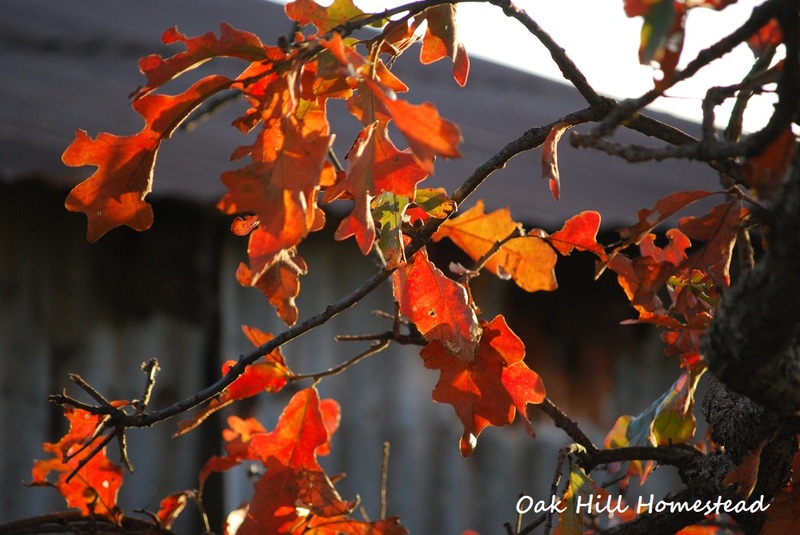 To have Oak Hill Homestead's weekly-ish newsletter delivered to your inbox, click here. On rainy days I've been working on the last quilt of my crib quilt project. It's rewarding to sit in my chair with a warm quilt on my lap as I stitch and pray for another grandchild soon to join our family. Providing for my family is the most satisfying job of all, whether it's through my garden, my kitchen, or my handwork. Gathering the fruits of our labor in autumn is a chore that is both joyous and satisfying even though it's hard work. Danielle and her family prepare for the upcoming cooler weather at Spring Lake Homestead. Linda uses natural fall materials to decorate her New England home at Apron Strings and Other Things. Michelle talks about the harsh realities of a homestead autumn at Souly Rested. Terri explores historic Saint Charles, Missouri in all its fall glory at Our Good Life. 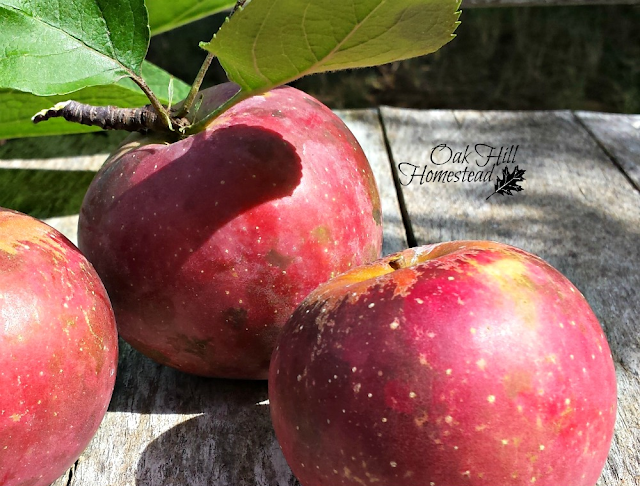 Angela gives us hope when autumn presents a huge to-do list at The Inquisitive Farmwife. 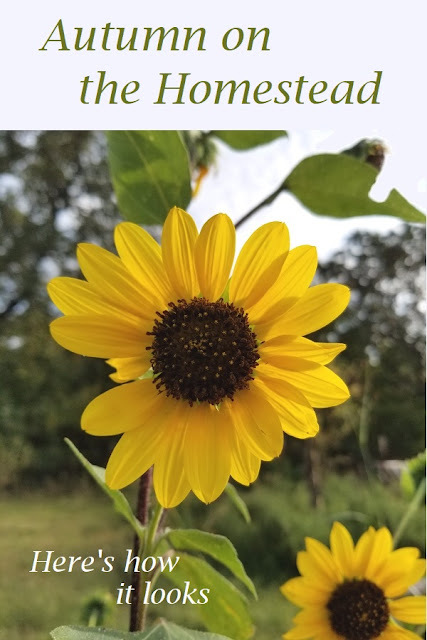 Michelle reevaluates her Missouri garden and talks about hope in her post at Mid-Life Blogger. How beautiful, simple and delightful! So glad that I am sharing a post with you and your beautiful blog. Thank you so much, Terri. This was a fun project! I LOVE that picture you said is from a past November. Beautiful! I pretty much feel the same way about spiders. Even a few inside doesn't bother me too much, as they help with the fly and ladybug problems we inevitably have this time of year. Ok, I'll admit that there's a spider living behind my aloe vera plant on the kitchen windowsill. It's become a bit of a pet. I hope it's keeping down any possible spider mites and aphids in my houseplants. What a beautiful view, rewarding tasks and cozy atmosphere! thanks so much for sharing this peek of your autumn season with us, Kathi! You certainly are busy! And I wish I was more relaxed about spiders, even in the garden! Angela, I'm not relaxed about black widows and brown recluses, or if a web is at face level and I keep walking into it! Those apples are so photogenic. What a nice problem to have, not being able to reach all of them. I hope to have that problem within a few years, too. Do you know how old your trees are? Thank you, Michelle. We planted them the fall we moved here, so they are fourteen years old. I should have done a better job of keeping them pruned! What a cute kitty name. I thought it meant she is dog-like. I had a cat who thought he was a dog and was superior to the other cats. lol. An Orb Weaver? We always have several that show up in October and I think they're really pretty. You blessed me with today's post. I share many thoughts and feelings, but don't have such a lovely way of putting my thoughts down. Thank you. I really enjoyed your blog today. What a beautiful post, Kathi. 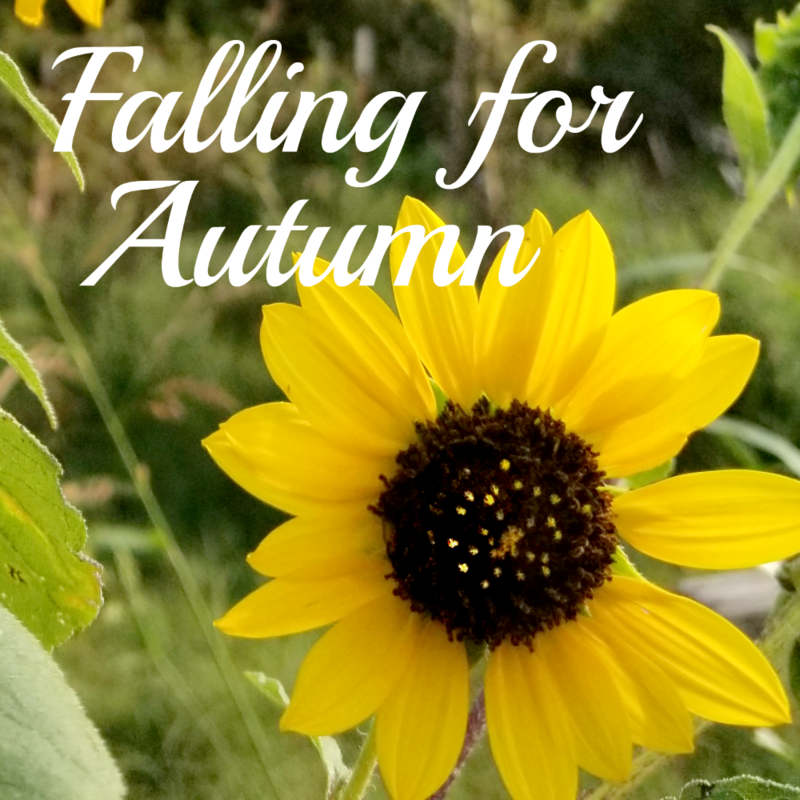 I so enjoyed reading about your enjoyment of fall, as well as the things you do on the homestead during this busy season. The pictures are lovely too. I'm featuring this post at the Hearth and Soul Link Party this week. Thank you again for sharing it. Have a lovely week!